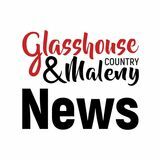 As your local newspaper, Glasshouse Country & Maleny News is proud to continue our tradition of being the source of genuine, trusted information for local people regarding the candidates and the election process as a whole. We strive to bring you a balanced, even-handed, credible and local approach to our election coverage so that you can make the most informed choice possible. We don’t pretend to try to cover everything that is announced nationally during the campaign, or to present in-depth critical analyses of policies, but we will bring you what matters … what local candidates have to say about issues impacting the lives of local people. Over the coming weeks we will equally offer all candidates free space in the paper to outline what it is they stand for, what they can offer as your representative in Canberra and why they deserve your vote. Do you have a question you’d like to put to them? We will be asking the candidates a series of questions on local federal-related issues and printing their replies in coming editions. Send your questions to brownie@gcnews.com.au. We will put all questions in a hat and pull out the ones to be put to the candidates. We also encourage robust but respectful contributions to the You Said It letters page, which must adhere to our editorial guidelines and space restrictions. Limits will be placed on letters supporting – or otherwise – candidates so that equity and civility can be maintained. We have also created a special The Fight for Fisher webpage where you can keep up to date with everything about the election and the local candidates. You’ll find it at http://gcnews.com.au/ content/2232/fightforfisher2019.aspx. It really is your one-stop election portal. As always, candidates can also buy advertising space. We thank candidates who choose to support the newspaper by buying advertising space as this helps us to provide editorial pages for election content, as well as the regular pages for school news, community groups, sports results, local news and events. 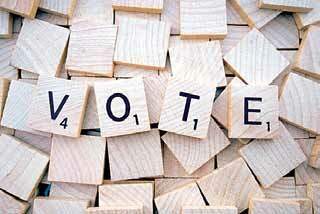 April 11 – postal voting opens. Postal vote applications must be received by the Australian Electoral Commission (AEC) no later than 6pm on May 15. The federal election has been announced and Australians must act immediately to ensure they are enrolled by the 8pm deadline on April 18 (this Thursday). Electoral Commissioner Tom Rogers said all Australian citizens aged 18 years and over were required by law to enrol and vote in the May 18 federal election. “You can enrol conveniently online at www.aec.gov.au on your computer, tablet or smartphone,” Mr Rogers said. Mr Rogers also urged all Australians, especially those who have moved in the past three years, to immediately check that their details were up-todate on the electoral roll.